Ahimsa is ‘nonviolence’; the first and the foremost of the five Yama (Social codes of conduct) in the yoga sutras of Patanjali. 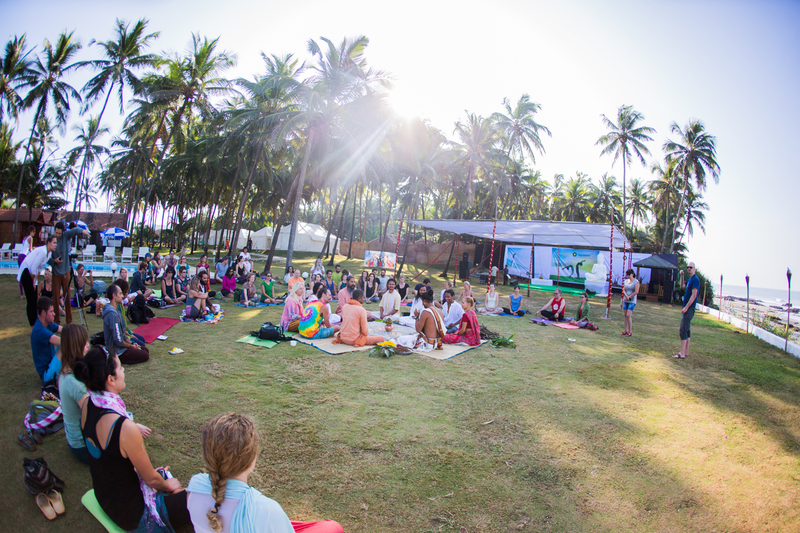 Goa seems to be a popular location for yoga festivals! 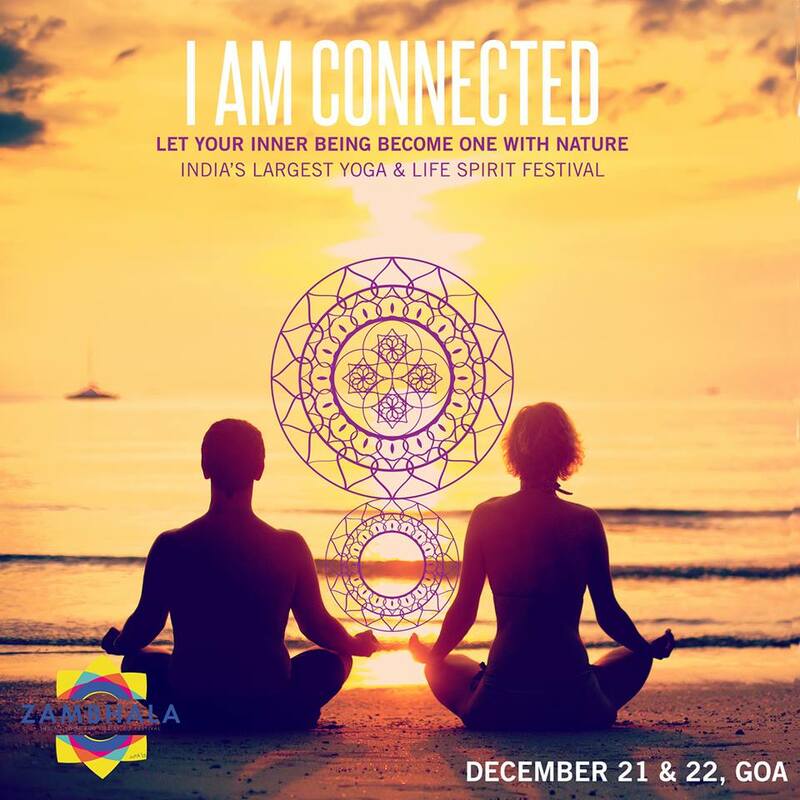 Yoga.in recently received information on the upcoming Zambhala festival, happening in Goa on December 21st and 22nd. The festival is bringing together not only yoga experts but also spiritual teachers, practitioners, healers, musicians and artists from India and other countries. For more information, visit the Zambhala website. 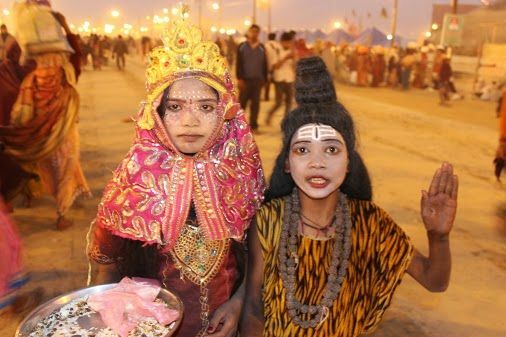 In January and February 2013, Eva and Henning Moog travelled to Allahabad, India for the Maha Kumbh Mela, one of the most significant events of the Hindu calendar which takes place every 144 years. Millions gather from around the world for a sacred bath in the holy Ganges river. Here Eva and Henning share with us their experiences and observations of the Maha Kumbh Mela 2013. “Did you take a dip?” This was a frequent daily question and one we got up to ten times a day during our stay in Allahabad during the Maha Kumbh Mela 2013. We stayed in Allahabad for one month, in this magic town where one drop of amrita, the divine nectar and sacred drink of immortality touched the ground, according to one of the most famous Indian myths. 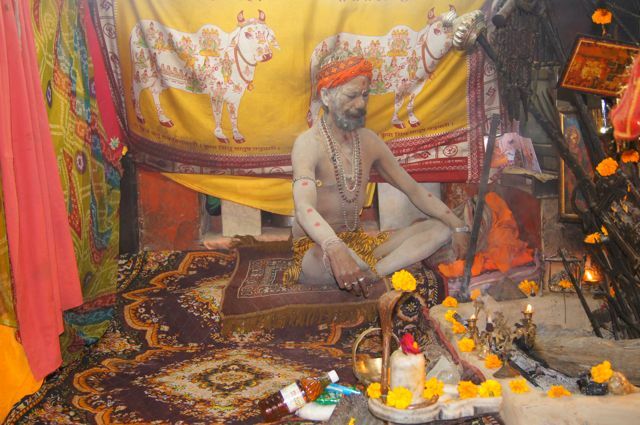 A dip in the holy waters here is the highest priority of each and every pilgrim who comes to the Kumbh Mela. The goal is to take a divine bath in the Triveni Sangam, a confluence of the three holy rivers of India: the Ganga, Yamuna and the secret, mysterious river Saraswati. Pilgrims come here to free themselves from negativity and – as they believe – the sins that they have accumulated over time. 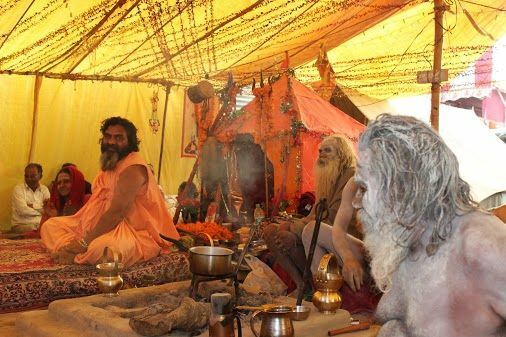 The first bath washes away all negativity and already the second bath is filled with divinity, leading to an ecstatic state of being – that can be really felt as a high vibrational spiritual field everywhere on the Kumbh Mela grounds. This is what Avijit, a manager of one of the thousands of camps on the grounds experiences told us with glowing eyes. The Ganga: the dying goddess? As Europeans, a bath in a holy river in India presented a certain challenge for us and was approached with some scepticism. Environmental pollution in India is astounding and the rivers are highly contaminated, as official studies by the WHO and other organizations confirm. Faeces, pesticides, heavy metals, industrial drain water, and dead corpses of humans and animals have caused a critical level of water contamination. Some river areas have faecal bacteria levels which are 4000 times higher than the minimum level set by WHO water safety standards. This is 10,000 times higher for the Ganges in Varanasi. The Yamuna river runs 1370 kilometres through the country and 20 kilometres through Delhi where 80% of its pollution is caused. In spite of their holiness and their status as goddesses, there are serious warnings that India’s rivers may die of severe contamination. Though the Indian government started the Ganga Action Plan (GAP) in 1985, billions of dollars for the salvation of Ma Ganga (as the Indians call the river) disappeared into nowhere, the money never having reached its goal. At the Triveni Sangam in Allahabad, the water looks relatively clean and we even happily discover some living fish. A good sign. But even our Ayurvedic doctor Dr. Pramod Kumar from Varanasi had mentioned that he would only bathe in the Ganges in Rishikesh or even higher in the Himalayas, at the river’s source. For all these reasons we swayed back and forth between our European rational thinking and the ‘dipping euphoria’ we witnessed all around us and which got to us from time to time. 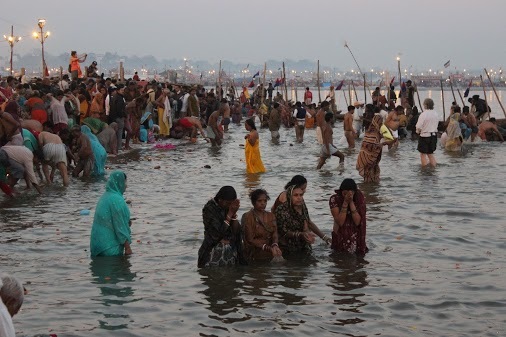 Bathing in these external rivers of the Triveni Sangam (the Saraswati is considered to be ‘invisible’ or ‘hidden’) is an outer, symbolic form of unity with the divine, and for the pilgrims, their access to holiness and divinity. No wonder that we were also told in India that the Yamuna and Ganges rivers are not contaminated at all! Millions of people dive into those waters without hesitating for even a second, and, it seems, with no harm. Is this spiritual blindness or is our yogic point of view much too narrow? “Here you can feel the real Indianness,” is something we heard from many Indian pilgrims. 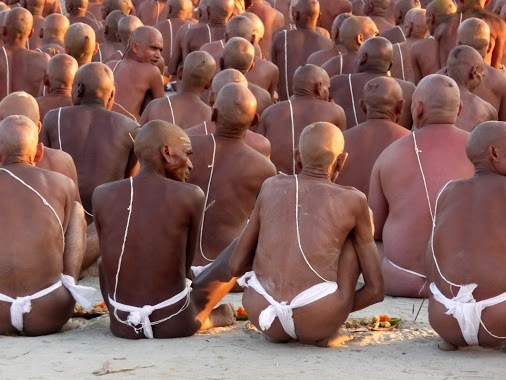 The Kumbh Mela is the ideal place to dive fully into the Indian feeling of spirituality which is also the spirit of yoga: the rising of spiritual energy during the Kumbh Mela. Everybody comes with a different concept, different ideas and backgrounds – yogis from all over the world and followers of all imaginable yoga styles build their tents here: Jnana, Bhakti and Tantra yogis, Naga Sadhus and Brahmans. Each camp is a whole unique universe. But in the moment of the sacred dip in the Ganga, all concepts and theories dissolve in the waters and the experience of unity and the touch of immortal divinity is all that lasts. The moment of the ‘dip’ is transforming and penetrates everything with a cosmic vibration. It aligns the individual once again with itself, the others and the cosmos. This transformational aspect enhances the vibration at the Kumbh day by day and we absorb this with every cell of our bodies. After some time the whole body vibrates, resonating on all levels and eventually radiating by itself. This is pure transformation. What unifies is the dip into the holy rivers and the absorption of pure divine energy. 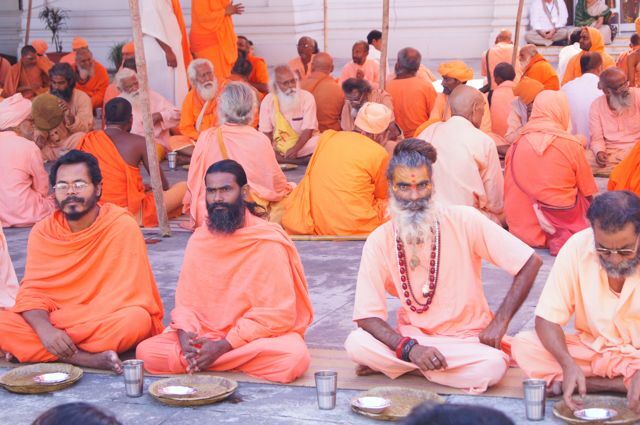 The Kumbh Mela is not just a Hindu celebration but an invitation for all people from our planet to spread the message of a peaceful, powerful and connecting spirituality, according to the 90-year-old swami Gopalji Maharaj from Satcha Baba Ashram in Allahabad. “The people come here and we give them love,” he told us. “Everybody is invited to take a bath and to join the divine energy.” Then he sang the Gayatri Mantra with the voice of a young man, so melodious and energetic, that we completely melted emotionally. “Live simple so others can simply live!” is the message of the Ganga Action Parival Camp in sector 13 of the Kumbh grounds. Poojayi Swamiji, the initiator of the camp and guru of an ashram in Rishikesh, works relentlessly on an awareness-raising project aimed at the Indian population for an improvement of environmental consciousness. The salvation of Ma Ganga is at the heart of his message. Ma Ganga – Mother Ganga – is seen to be the mother of all rivers, not only on the Indian subcontinent, but around the globe. This holistic view leads to a way of thinking and doing that connects local action to a global perspective. It is also a spiritual approach that sees the Ganges as a living being that has family connections to all other rivers. Rivers, no matter if they are called Ganges, Rhine, Danube or Thames are one body, one being. We humans stay connected with them, as water is the most important element. At the Kumbh Mela, we observed how some pilgrims lit a candle set on a palm leaf and decorated with a flower before placing it on the water’s surface as an offering. They chanted mantras while these beautiful offerings flowed away gently with the current of Ma Ganga. At the same time, just 100 metres away, Poojayi Swamiji was holding a passionate talk for the salvation of Ma Ganga. All around us the ecstatic ‘dipping’ continued, with pilgrims emerging from the river purified and highly energized. A myth survived and will live on. The rivers, goddesses, millions of pilgrims, infinite nectar and the spiritual power of a ‘Green Ganga’ made it possible. Jay Ma Ganga! The white sands of Cavelossim Beach in Goa will be the magic setting for a special event for yoga lovers from across India and the world. The Indian Shanti Yoga Festival will be a 3-day celebration of wellness, spiritual growth and conscious living through yoga, health, ayurveda, spiritual music and healthy food. 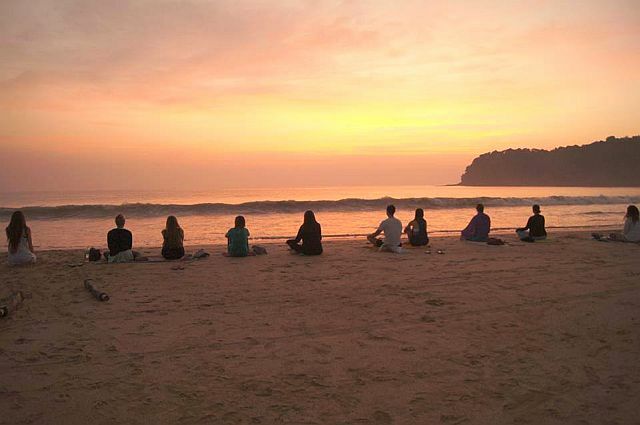 Presented by Ganesha Events, this 3-day gathering of yoga, health and spiritual music will take place from 3-5 January 2014 at The Old Anchor Byke Resort, Cavelossim Beach. The festival will have an auspicious start on the morning of January 3rd with an invocation to lord Ganesha, and will conclude with a grand finale concert with all the invited bands joining in on the evening of January 5th. The focus of the festival is to bring together the ancient knowledge of different yoga ashrams and traditions in India while also introducing new techniques of relaxation which are evolving around the globe. Several directors of renowned ashrams are joining the festival to present their specific understanding of yoga and spirituality, these include Nataraj (Director, Sivananda Ashram, Neyyar Dam), Swami Gurusharanananda (Director, Anandamayi Maa Peet, Omkareshwar), Swami Sugoshananda (Director, Chinmaya Mission Ashram, Ponda), Dr. Omkarananda Guruji (Director, Paramanand Yoga Niketan, Indore), Sindhu Maa (Director Tulasidalam Ashram, Kerala) and many more. Yoga teachers from all the major yoga schools of India will be represented at the festival, including Bihar School of Yoga, Ramamani Iyengar Memorial Yoga Institute (RIMYI), Krishnamacharya Healing Yoga Foundation, and Shri K Pattabhi Jois Ashtanga Yoga Institute. Some modern approaches to yoga practice will also be presented: Pau Castellsague from Acro Yoga and Thai Massage, Spain; Helen Ruth from the UK, Marcus Felsner from Austria, Satish Joshi, an Ayurveda therapist from Germany, and many more. In addition to the many speakers and yoga teachers, the highlight of the festival is to bring bhakti yoga into motion for which there will be kirtan bands performing at sunset concerts including Kirtaniyas (USA), Vraja Vilas (Mumbai), and Ajay Yagnik (Delhi). Also planned are special free events such as Hanuman Chalisa and Divine Mother Invocation which will cultivate the spirit of bhakti in the hearts of the participants. A Yoga Market will offer space to a variety of vendors to promote their yoga products and retreats to the festival crowd. Ayurvedic food stands will provide participants with nutritious and delicious food during the festival. 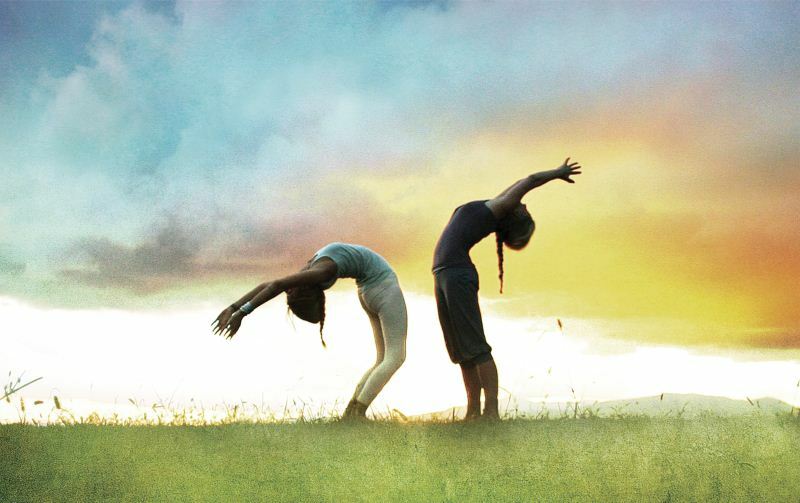 The Indian Shanti Yoga Festival will be offering its support to the Heart Kids orphanage in Tiruvannamalai, Tamil Nadu. 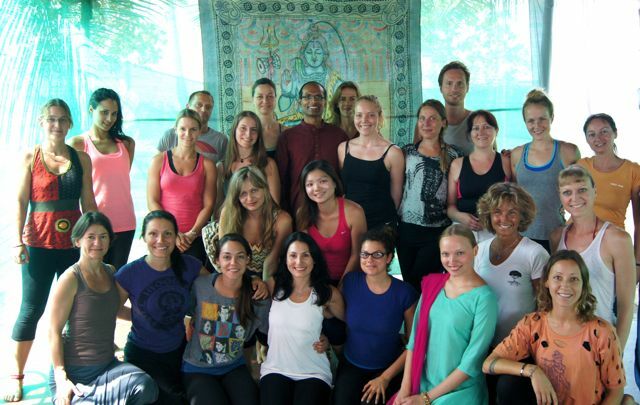 The organizers of the Indian Shanti Yoga Festivals invites yoga fans to come to Goa from 3-5 January 2014 and be part of this unique 3-day celebration of wellness, spiritual growth and conscious living while also helping to support a good cause. 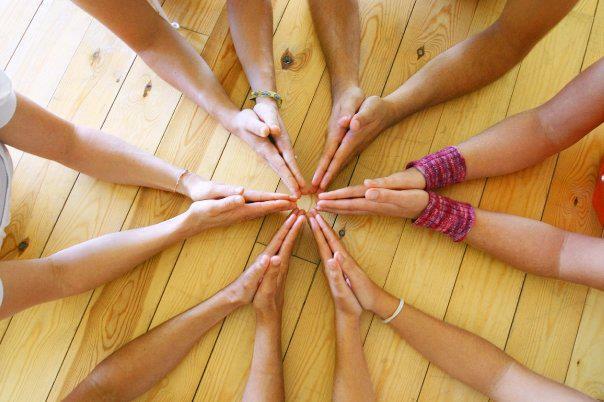 For more information, visit the Indian Shanti Yoga Festival website or the Facebook page. Photographs by Wari Om Photography.